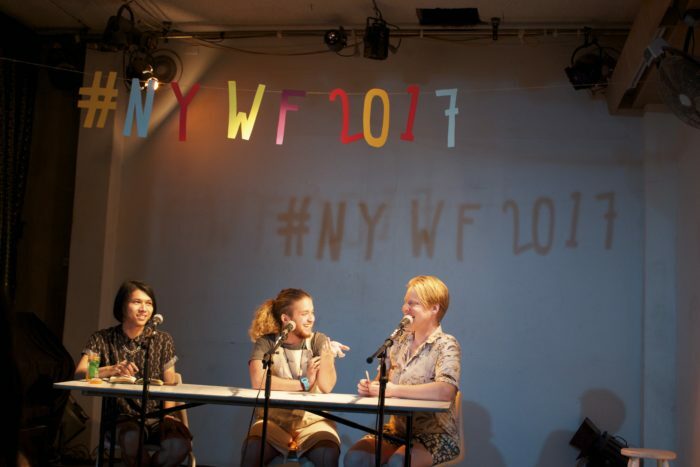 The National Young Writersʼ Festival (NYWF) is looking for three dedicated individuals (from anywhere in Australia) to Co-Direct the 2018 and 2019 NYWF in Newcastle, NSW. We’re after someone who has the skills and vision to take NYWF to the next level. If this sounds like it could be you, download the position description and apply. If you are interested in applying for one of the Co-Director positions, please send a CV and a cover letter addressing the selection criteria listed in the position description – emailed as a single PDF or word document to NYWF Chair, Shona Barrett (chair@youngwritersfestival.org) with “NYWF Co-Director 2018/19” in the subject header. This is a life changing opportunity. Please do not hesitate to contact one of the outgoing Co-Directors if you have any queries. We’d be more than happy to chat to you over the phone or in person to talk about the role in more detail and answer any burning questions you might have! Or send a general inquiry to info@youngwritersfestival.org.